Σχεδιασμένο για ταξίδια τόσο επαγγελματικά όσο και διασκέδασης, το Sense Motel είναι ιδανικά τοποθετημένο στη Περιοχή Σασανγκ-γκου, μια από τις διασημότερες περιοχές της πόλης. Το ξενοδοχείο δεν απέχει πολύ από το κέντρο της πόλης: μόλις 6km, και συνήθως χρειάζεται περίπου 10 λεπτά για να φτάσετε στο αεροδρόμιο. Από τη βολική της τοποθεσία, η ιδιοκτησία προσφέρει εύκολη πρόσβαση σε κορυφαίους προορισμούς της πόλης. Στο Sense Motel, η άψογη εξυπηρέτηση και οι ανώτερες εγκαταστάσεις συντελούν ώστε η διαμονή εκεί να σας μείνει αξέχαστη. Η ιδιοκτησία παρέχει 24ωρη υπηρεσία δωματίου, δωρεάν WiFi σε όλα τα δωμάτια, 24ωρη φύλαξη, παντοπωλείο, ημερήσιος καθαρισμός, φροντίζοντας για τη μέγιστη δυνατή άνεση των επισκεπτών. 33 δωμάτια μοιρασμένα σε 7 ορόφους παρέχουν ένα ζεστό και ευχάριστο σπιτικό μακριά από το δικό σας. Σε επιλεγμένα δωμάτια θα βρείτε μοντέρνες ανέσεις όπως επίπεδη τηλεόραση, κρεμάστρα ρούχων, δωρεάν καφές φίλτρου, δωρεάν τσάι, ηλεκτρική κουβέρτα. Οι μονοπάτια για πεζοπορία, υδρομασάζ, μασάζ, γήπεδα τένις του ξενοδοχείου είναι τα ιδανικά μέρη για να χαλαρώσετε και να ηρεμήσετε μετά από μια πολυάσχολη μέρα. Ανακαλύψτε ένα ευχάριστο μείγμα επαγγελματικών υπηρεσιών και μια μεγάλη ποικιλία ιδιαίτερων χαρακτηριστικών στο Sense Motel. I used this hotel because it's right next to the airport train. However that aside it's a great good old love hotel with everything you could ever need in it. Don't let the words love motel put you off this is actually a really decent well priced hotel. The hotel location is good for people who need to stay near to airport. The room is clean and fully equipped (bath tub, computer, towel , hair dryer etc.) Value for money. The cons are poor soundproofing and late check in time (6pm). Pro great staff, clean spacious comfortable and quiet room. Plenty of restaurants just outside the door. Con it was a little bit far from the cycling trail. But that isn't the fault of Sense, that's my fault for planning poorly. If I were nearby I would stay again. Clean, comfortable hotel near the airport by metro. When you arrive by metro, use exit 2 and walk straight ahead to the first street and turn right. You’ll see the motel after a short walk. Use exit 2 or you may get lost. The motel beds are firm. Not much nearby except a few good restaurants. 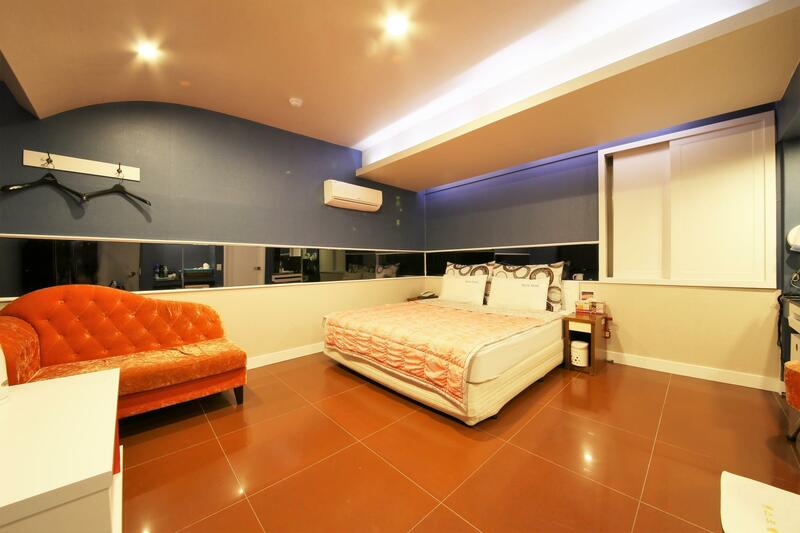 Sense Motel is located literally atone throw away from LRT and MRT Sasang Station. From LRT Sasang Station, it just 4 stops before reach Gimhae Airport, so its very good choice for traveller catch early flight. Its also located nearby Sasang Bus Station, while Sasang MRT station has 2 lines, so its easy to reach many popular locations. The motel also surrounded by many eateries, in addition to GS25 store just next door. 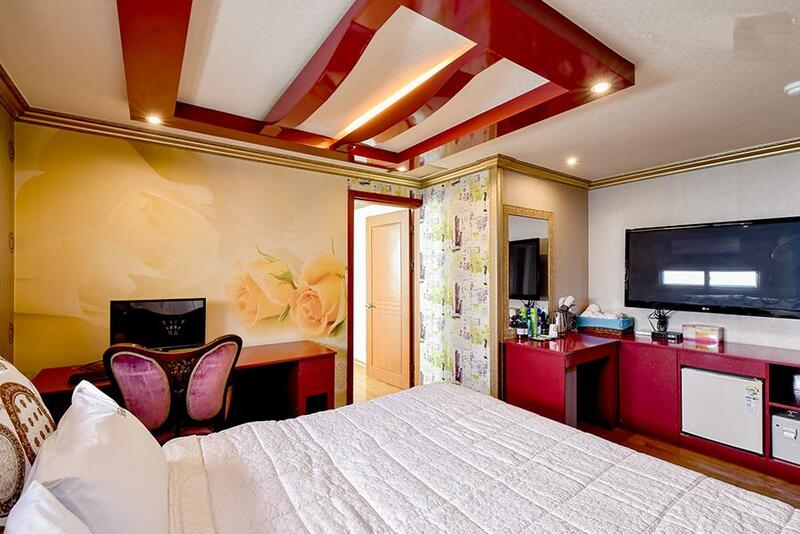 The room itself is huge and clean, also has strong wi-fi connection. The motel is great even we were firstly put in a triple room (with an extra bed) with a PC connecting to 2 screens which didn't work. Later we discovered that the room was connected to a laundry storage. Feeling not so comfortable we asked to change to another room which was better. However the WIFI didn't seem to work. 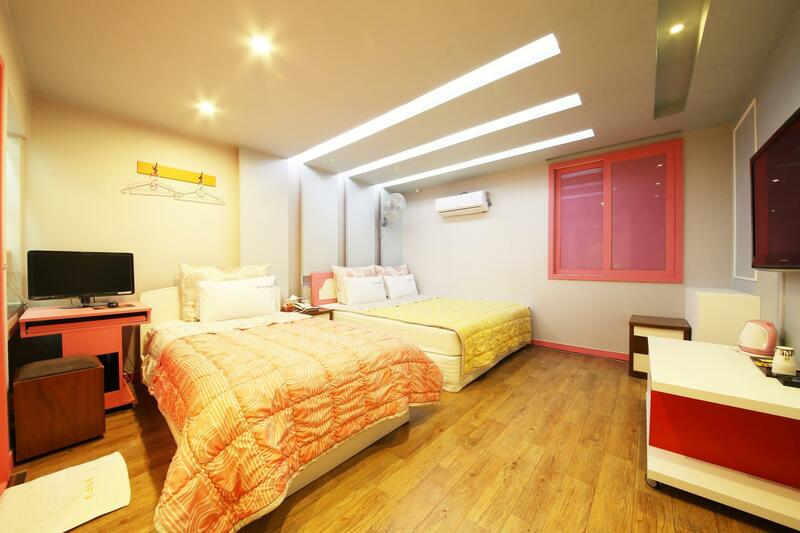 The location was best since the hotel is located just by Sasang subway and light rail stations, very convenient to go to the airport which is about 10min away by train. We have a short stay here. Although we early reached, but the kindness of hotel owner help us check in early for relaxation. 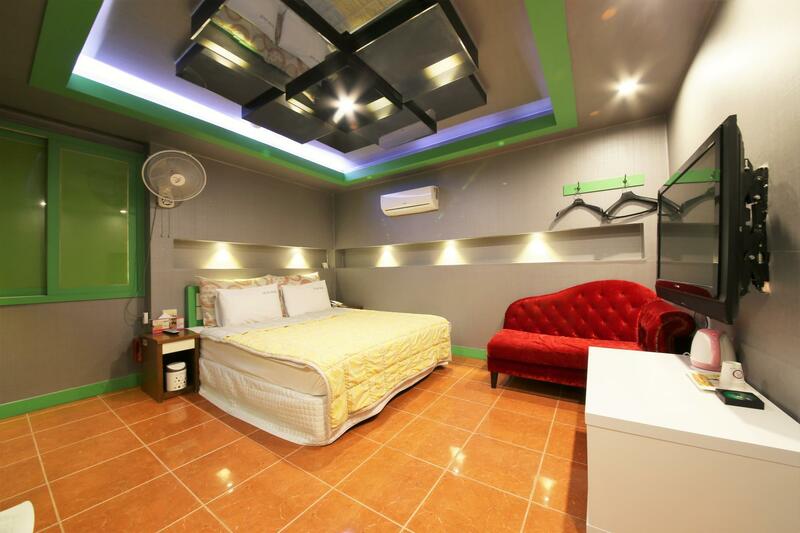 It is just walking distance to Sasang Subway station and close to restaurants and also shopping center. We are pleased with their warm welcome and also nice room provided, we shall visit again. Just 3 minutes walk from Sasang station which has both Airport rial (take around 15 minutes to airport) and MRT to go into city. Clean, nice. Strongly recommend for anyone who need to take early flight. Everything was beyond our expectations! Airport pick-up was on time, room was very spacious and clean and with all necessary amenities, staffs were friendly esp Phillip hyung took the time to accompany us to the bus stop and taught us how arrange our tour on bus! Location was not in the city centre, but no so much problem as the metro and buses are efficient enough to take you there in few minutes. The airport is also accessible from the lrt station conveniently located across the road, the journey will take about 10 minutes. 2 mins walk from Sasang subway, can be clearly seen from the purple line subway. Only 4 stops away to the airport .. huge shower room w bathtub , comfortable bed and accessories provided like hair spray, hair dryer, bathrobe and towels. 7-eleven and restaurant just downside.. department store are near by. Clean, roomy and friendly staff. The mattress is quite hard like in most motels in Korea. Very close to the Sasang on the light rail for the airport. Very convenient hotel with just 3 minutes walk to sasang subway.very comfortable with lots of thing in the room.desktop, hair spray and even hair gel.just the disadvantage is check in time quiet late..6pm. I traveled in early July 2017 with my sister. The motel is so close to the Sasang subway station. The closest exit would be exit 2, but it's stairs only. Elevator is at exit 4, better use it if you're dragging large suitcases like us. Exit 4 is across the street. From Sasang station, you can also walk to Busan Seobu intercity bus terminal, if you're going to other cities by bus. The motel has very spacious room, very big tv to match the room, and a very large bathroom with a bathtub for two. There are two showers, one in the bathtub, one in the corner standing shower. Water pressure is good. They provided shower gel, shampoo, conditioner, lotion, even emulsion and hair gel. There's a pc inside the room, complete with internet router. We didn't use it, though. What we used very often was the electric kettle to boil water for hot drinks and ramyeon LOL. Convenience store is just around the corner, very convenient :D The staff were also very nice. They're helpful and friendly. Room is cleaned daily. Well, it is my first to visit. 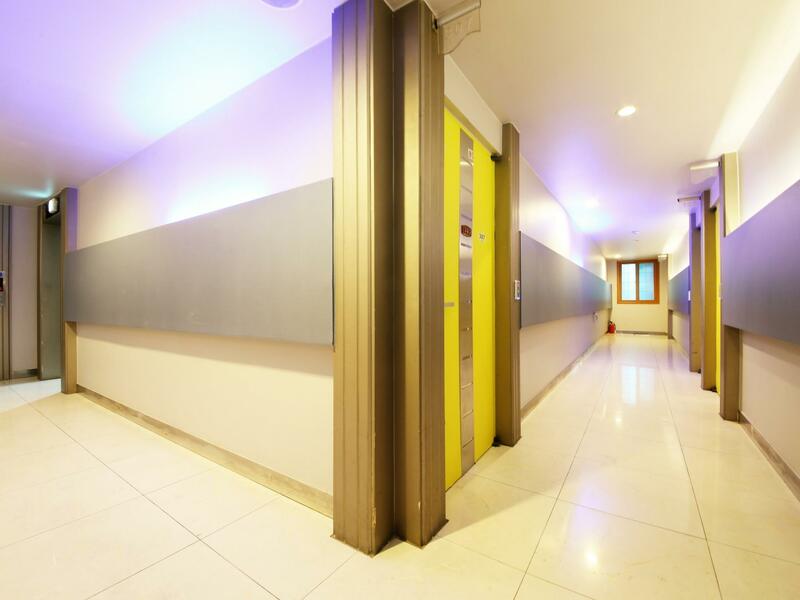 excellent location which is very close to rail station. They were very kind to upgrade the room which I saw and used electric massage chair! Just comfortable with sufficient facilities in the room. When I go the area, I will stay again! Thank you! It will be better if the staff know how to speak chinese or english,there was only a coffee machine opposite the reception counter, the drinking water filter was not provided.Need to ask at the counter. tis is a good place to stay for our honey moon. it is close to light train and easily get to Busan ， GimHae International Airport. i get the promotion price for me and husband to overnight here. we only stay for one night. They provided us with much much more than what we expected for a cheap, brief stay while awaiting for our flight home. 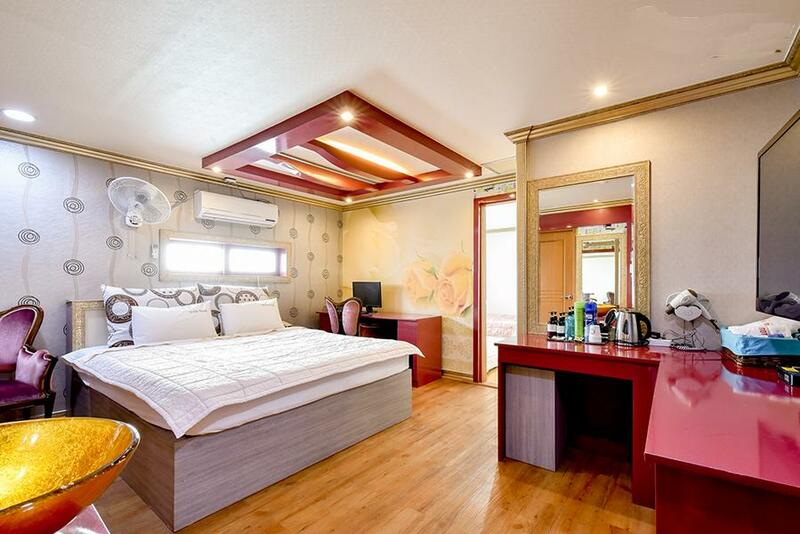 We had paid more $$ for so much less value for other accommodations in Seoul and Jeju, so all the excesses that Sense Motel provided came in as such a surprise. Σταθμός Υπόγειου Σιδηρόδρομου Sasang στα 0.21 χλμ.